With today's technology, lighting systems can be upgraded or retrofit to reduce your facilities' lighting energy consumption by up to 50%, saving you thousands of dollars each year! 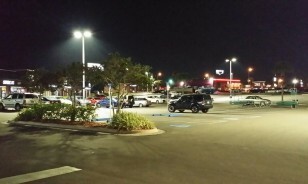 Site lighting plays a major role in how your customers and tenants perceive your property. 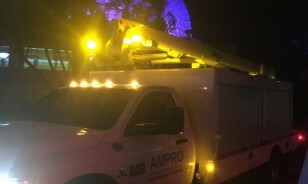 The most effective method of maintaining optimum light levels at the lowest operating cost is through AMPRO's Planned Lighting Maintenance (PLM) program. We have proven expertise in electrical inspections, repairs, service calls, installations and trouble-shooting. We can perform emergency calls, ensuring efficient performance for our customers. A company's electrical sign advertises its business 7 days a week, 24 hours per day. If your signs are not working properly, you are sending the wrong message to your customers. "One Call, One Company, Many Solutions"